The University open access policy provides the public the benefit of open access dissemination of University of Delaware scholarship. It supports the faculty by making their work more available, and fostering greater impact, the retention of distribution rights, and preservation. Each faculty member grants to the University of Delaware permission to make available his or her scholarly articles and to exercise the copyright in those articles. More specifically, each faculty member grants to the University of Delaware a nonexclusive, irrevocable, worldwide license to exercise any and all rights under copyright relating to each of their scholarly articles, in any medium, provided that the articles are not sold for a profit. The policy applies to all scholarly articles authored or co-authored while the person is a member of the faculty, except for any articles completed before the adoption of this policy and any articles for which the faculty member entered into an incompatible licensing or assignment agreement before the adoption of this policy. The University will automatically waive application of the license for a particular article or delay access for a specified period of time upon express direction by a faculty member or their designee. Provision of each article shall be as convenient as possible for faculty. Each faculty member will, upon request, provide an electronic copy of the author’s final version of each article to the University of Delaware Library in an appropriate format. The University of Delaware Library will make the articles available to the public in an open access repository, UDSpace or its successor. The policy will be reviewed during the 2018-2019 academic year, and a report on utilization and dissemination will be presented to the Faculty Senate at that time. The text of this policy was adapted from the model policy language provide by the Harvard Office of Scholarly Communication https://osc.hul.harvard.edu/modelpolicy, March 2015. Recently, a new tool has come out, from the makers of OADOI and ImpactStory, that allows users to ‘jump the paywall’ and access research articles for free. It’s called Unpaywall, and it works by using information contained within papers, such as its DOI, to find legally archived versions of papers (of which there are multiple usually, like pre-peer review, post-peer review but pre-typesetting etc.) from across the Web, and deliver them straight to you. The interface is fairly simple, as it exists on pretty much any webpage that links to a research paper, with a colour code letting you know whether a version is available for free or not. Click away and you’re done, simples. Several individuals, universities, publishers, funding agencies and other organizations have signed this declaration since Dec. 2012 saying that they will not use journal-based metrics, such as Journal Impact Factors, as a surrogate measure of the quality of individual research articles, to assess an individual scientist’s contributions, or in hiring, promotion,or funding decisions. This integrated policy resource can be used by researchers, librarians, policy makers, and other stakeholders to explore and compare agency requirements for sharing articles and data. The new article-sharing analysis provides a tool for tracking practical information that can be used by active or prospective grant awardees to understand when, how, and where they need to make their manuscripts accessible, including links to each agency’s submission portal. As with the data-sharing resource, it will be updated as additional federal agency plans are released and analyzed and as current plans are revised. This resource is openly available at researchsharing.sparcopen.org under a CC0 waiver. Additionally, the entire dataset of the policy analyses can be downloaded without restriction from the site under the same terms. The Federal Trade Commission has charged the publisher of hundreds of purported online academic journals with deceiving academics and researchers about the nature of its publications and hiding publication fees ranging from hundreds to thousands of dollars. Academics Want You to Read Their Work for Free by Jane C. Hu in The Atlantic, January 26, 2016. 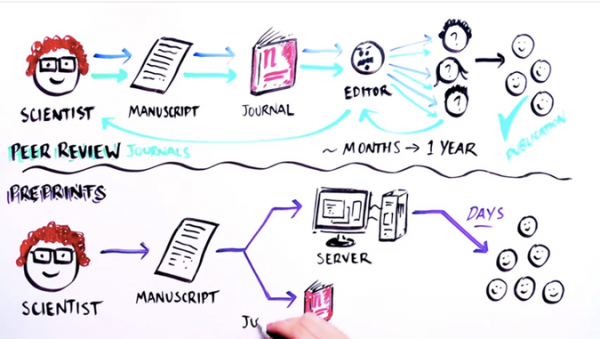 Publishing an open-access paper in a journal can be prohibitively expensive. Some researchers are drumming up support for a movement to change that.